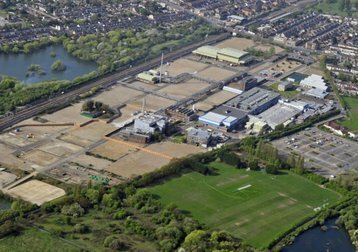 NTT Communications wants to build a new data center campus in Dagenham, London, on a site where a pharmaceutical giant operated till 2009. The proposal would place two data centers totaling somewhat under 53,000 sq m (570,000 sq ft) on a site where pharmaceutical company May & Baker (eventually known as Sanofi) operated since the 1930s. Since the site closed there have been various proposals to develop it; the current projects include the Londoneast-uk Business & Technical Park, the Elutec technical college and a proposed film studio. The NTT data centers could open by late 2019, according to planning documents spotted by The Stack. Documents at digitaldagenham.co.uk say NTT Communications Corporation (NTT) has submitted a planning application for “the delivery of a data facility on land at the eastern extremity of the former Sanofi Aventis site in Dagenham.” The proposal is being handled by urban planners David Lock Associates. According to the applications, the development would include two data center buildings, with a maximum of 53,522 sq m - but this is the total “gross external area” of the buildings, which will include ancillary offices, so the total white space will be a lot less. There will also be 149 car parking spaces. Building 1 will include an external plant compound and Building 2 will have includes internal plant. This suggests more than one business model - perhaps combining retail and wholesale colocation. The proposal is expected to bring in “£1.5 billion of investment” and produce 108 permanent jobs on the site, and The Stack notes that the council is so keen on the project it is allowing the applicants to forgo “Section 106 requirements” which would normally have required a contribution to the local economy such as funding for schools. The proposal has reached an advanced stage, with letters on the Digital Dagenham site suggesting that only parking remains to be settled. The site would also have rooftop solar panels to generate around 1.75MWh of power per year. 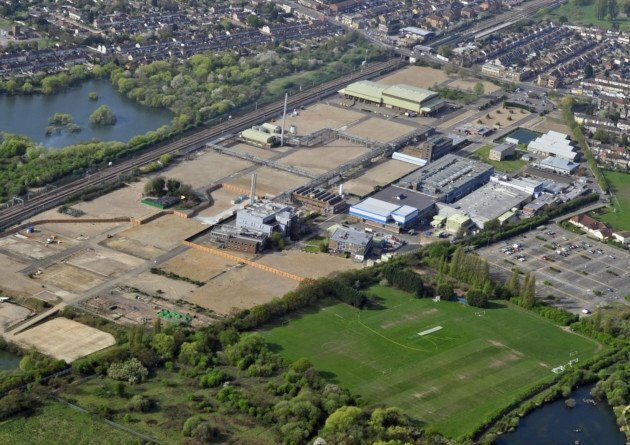 The NTT proposal follows the collapse of a previous scheme to create a “Silicon Valley” science park on the site, which was backed by an un-named IT giant, but fell through when it was refused funding the Mayor of London in 2013, according to the Barking and Dagenham Post. After pharmaceutical work ceased, the “highly contaminated” Sanofi site was thoroughly cleaned and is now suitable for commercial use.